Louise Russell is a bespoke portrait, abstract and inspirational artist. Louise gained a degree in Related Arts at Chichester University in 1990. She has sold her artwork privately or through exhibitions at The Oxmarket, Chichester and in Emsworth. 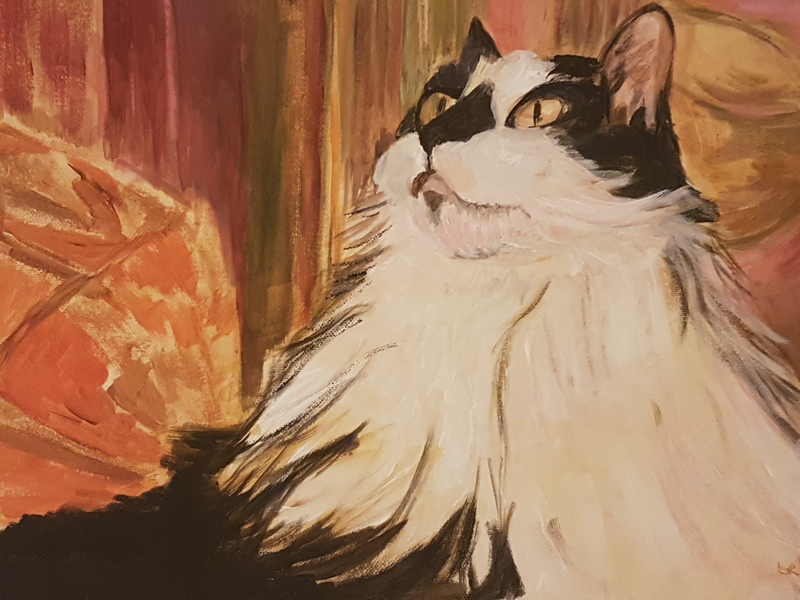 Louise takes commissions for painting portraits of pets or people, or bespoke designs to suit colour schemes. She also teaches and performs piano voice and flute and runs Emsworth Meridian Singers.